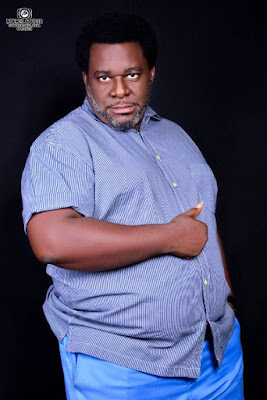 Popular Nigerian reality television star, Alex, who participated in the 2018 Big Brother Naija show, has urged young women to pursue their dreams. 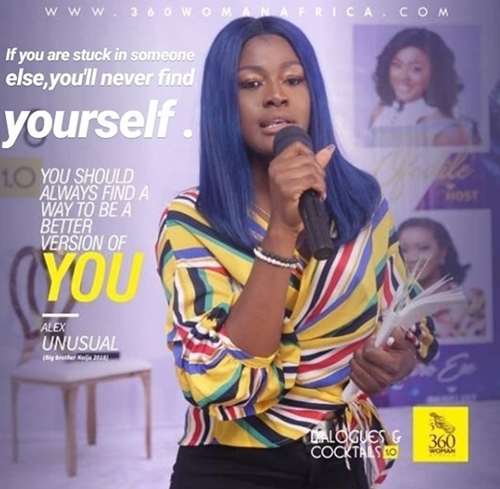 Alex Asogwa a.k.a Alex Unusual, 3rd runner up BBNaija season 3, has urged young women to pursue their dreams, aspirations and make them a reality. She gave the advise at the “Dialogues and Cocktails 1.0"; a Real talk, Mentorship, Job and Networking programme for women between ages 18-40, organised by 360 Woman Africa, a personal development enterprise in Lagos at the Weekend. Alex, who spoke on the topic: 'Road to Discovery: How real can it get,' advised participants to dream big and never let anyone or circumstances defined them. 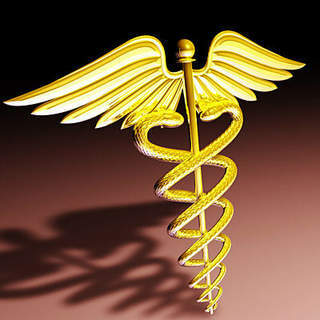 “You are never a failure except you make yourself one. Failure is when you quit trying. 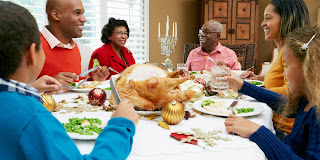 Keep pushing: You should always find a way to be a better version of you,” the News Agency of Nigeria quotes Alex as saying. 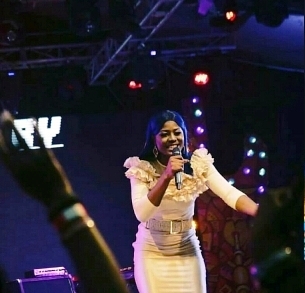 Alex, who is a dancer, writer and speaker, recently thrilled fans at her first hosting gig in Port Harcourt at the ‘Elevated Concert’ alongside respected media presenter Olisa Adibua.